Although most bloggers show their holiday outfits before the holiday for inspiration, I am not enough on the ball to do that, but I figured I would show you my outfit I wore for Christmas Eve. 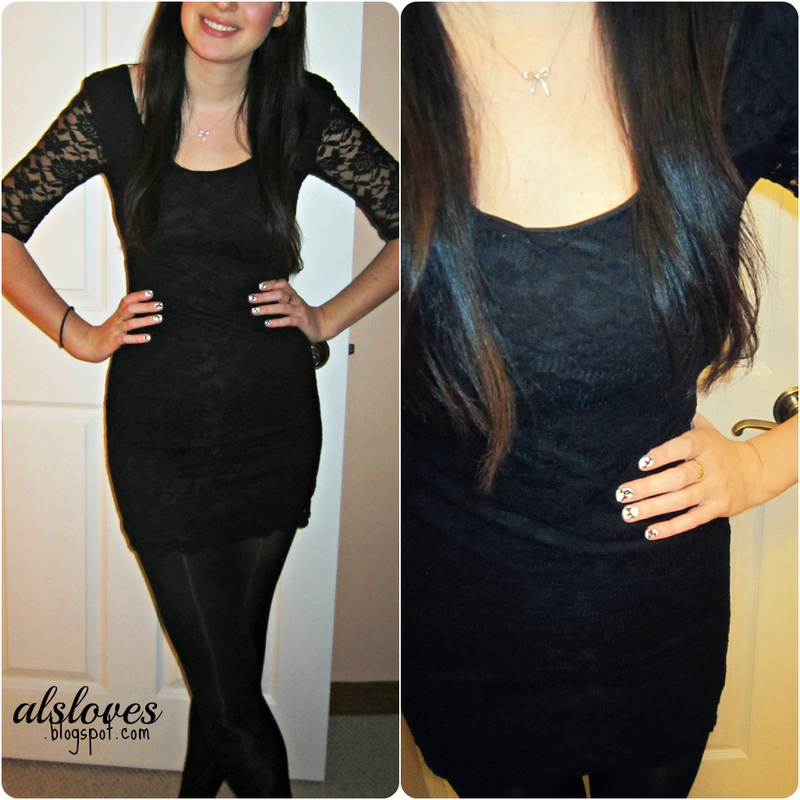 As you can see it's just a lace dress with lace sleeves by Material Girl from The Bay and black tights. 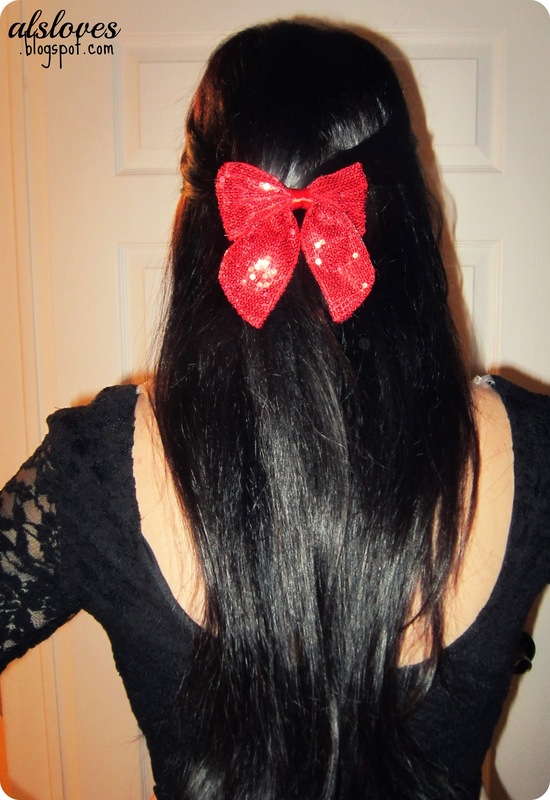 My favourite part is of course the bow, I love bows and when is a better time then Christmas, it is from Claires. Also, if you look closely I have Christmas light nails. Comment below if you made a post about your holiday outfits, because I'd love to read it, and I think tomorrow I'll show what I wore on Christmas day, as it was more casual but still sparkly and festive. I hope everyone had a good holiday and enjoyed the time you had off school or work and hope 2013 treats you all well!